Let’s start this week off with something fun, shall we? 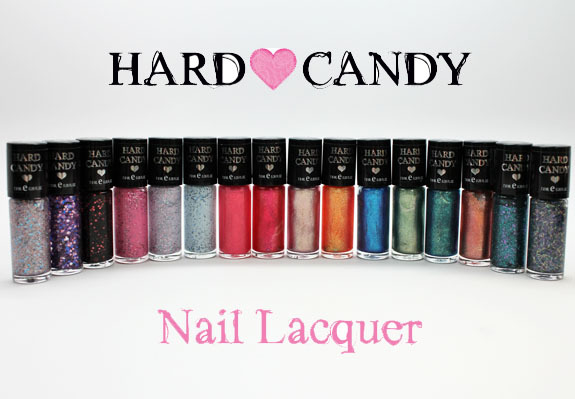 Howzabout a little Hard Candy Nail Lacquer giveaway? Open to ALL! Enter in the comments by letting me know your favorite post from me, and why you liked it so much. You can only comment ONE TIME or you will be disqualified. Please note it can take up to 48 hours for me to approve comments so if yours doesn’t show up immediately, do not comment a second time. The deadline to enter is Friday, April 19th, 2013 at 11:59 pm PST. You must use a valid email account to enter. The winner will be notified via email within 48 hours of the giveaway end time. The winner will have 48 hours to respond to the email or I will choose another winner. This is open to individuals of any country who have reached the age of majority according to their local laws (18 in the US with these exceptions: Alabama and Nebraska, 19; Mississippi, 21).